Looking for a way to get into the Halloween spirit without getting pumpkin seeds or paint all over the house? How about these wall decals from Wall Candy Arts? 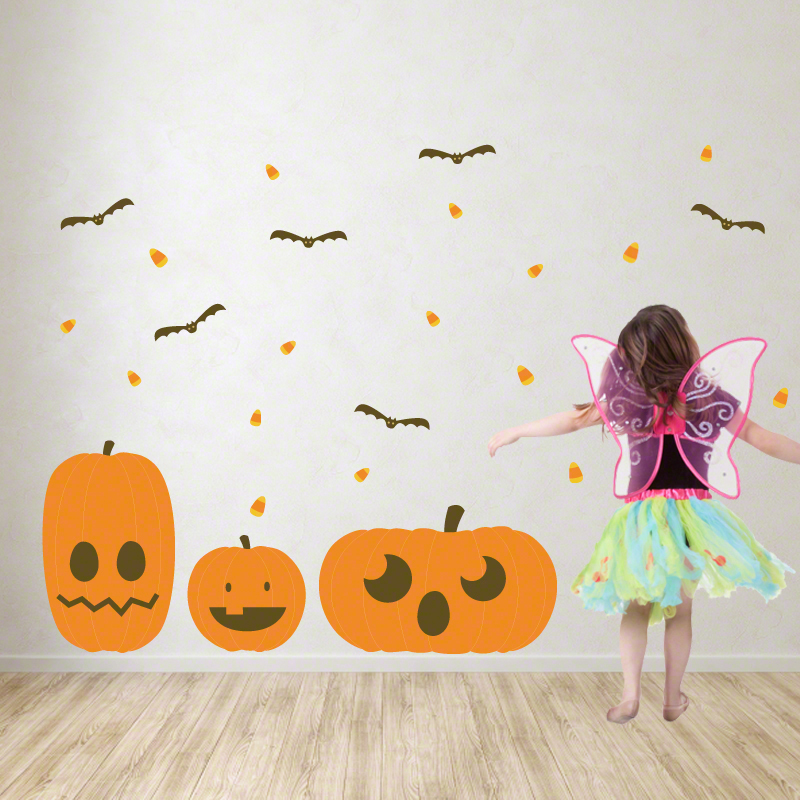 The peel and re-stick decal not only enable your child to be create and decorate pumpkins, they are also creating instant Halloween decor in your house! $37 for a set which includes an assortment of eyes, mouths and noses.